Yet another excellent recipe I adapted from Adam Perry Lang’s BBQ 25: The World’s Most Flavorful Recipes-Now Made Fool-Proof. I cut these 1-inch thick chops from the rib end of a whole pork loin. Brining the chops adds a ton of flavor and keeps them very juicy. Put the garlic, salt, and onions in a food processor and pulse until the garlic and onions are minced. Add the remaining ingredients, except the chops, and give them a whirl until everything is well-combined. Put the chops in a zip-top bag and cover with the marinade. Toss to coat. Squeeze the air out of the bag, seal it, and put it in the fridge to marinate for at least 4 hours, overnight is better. Remove the chops from the brine and put them on the grill. Grill the chops 5 minutes on one side. Then flip, baste, and grill another 5 minutes on the second side. Flip again, baste, and grill for 5 more minutes. Flip one last time, baste, and grill another 5 minutes, or until the internal temperature of the pork hits 140°F. 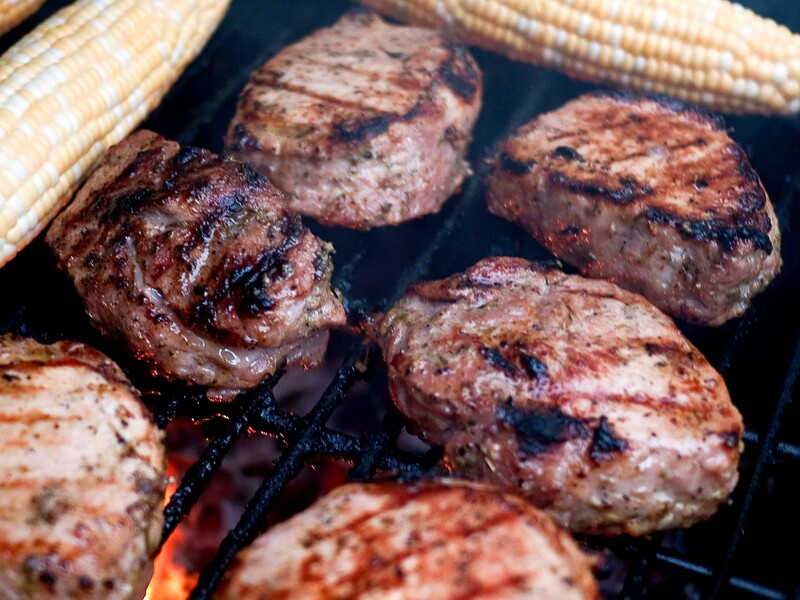 Remove the chops from the grill. Baste one last time, and let rest 5 minutes before serving. Wow! 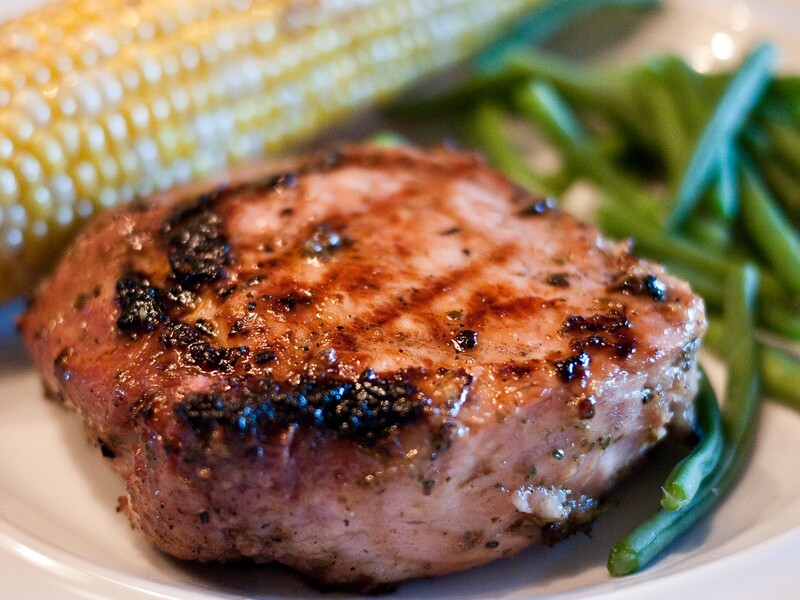 These chops were incredibly moist and tender with very rich layers of flavor. The original brine recipe called for fresh coriander, which we were out of, so I substituted dried cilantro – not the same thing. I’d use fresh next time as well as maybe a little diced jalepeño.